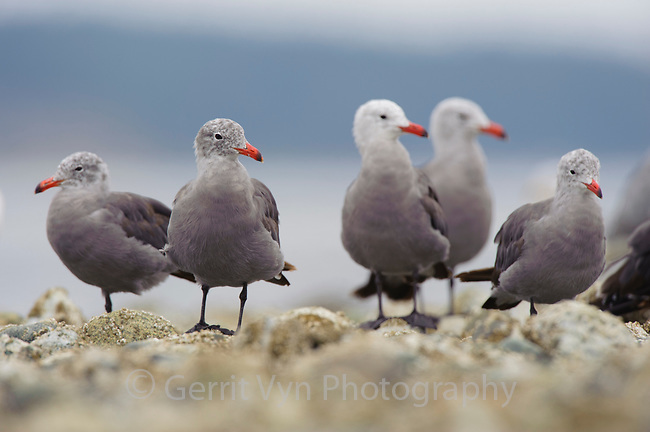 Flock of adult Heermann's Gulls (Larus heermanni) molting into basic (winter) plumage on intertidal rocks. Jefferson County, Washington. August.